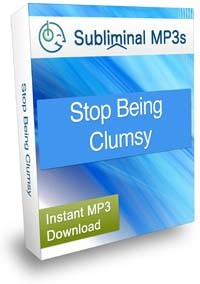 Stop being clumsy - lift your "clumsy curse" and gain a heightened level of care and attention to everything you do with the help of this unique subliminal mp3. Do you constantly bump into things, walk into people, drop plates and spill drinks? Do you get in socially awkward situations thanks to your clumsiness? Do you want people to stop questioning your "presence of mind" and to finally grow out of clumsiness? Clumsiness is a result of not paying much attention to your surroundings. When you are in the hurry or when you are so focused on something, you don't see anything else. So things get broken, people get bumped into and you get the aura of someone dangerous to be around. Other people are in the hurry too, and they don't end up breaking glasses and spilling sodas. Perhaps you consider yourself naturally clumsy and just think there is nothing you can do about it? What makes them different than you is the ability of their mind to actually pay attention to the surroundings, and to take it into account no matter how preoccupied they may be with something else. Your mind is right now "trained" to completely focus on one thing and not to notice anything else. But you can train it to process things differently. Wire your mind to make you pay attention to detail. You won't lose the ability to focus on something, but with time you will notice that you're taking more care in everything you do and that you're more observant. Ultimately it will increase your awareness of your surroundings - and that's a very good news! Allow you to control your thoughts and to think positively. If you are doing something that involves breakables and you expect that you'll drop them - you can bet that you will. 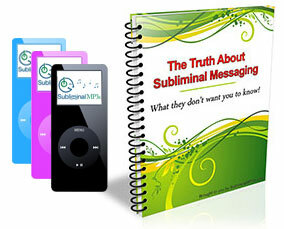 This subliminal album will help in changing your thought processes so that you firmly believe that you will not drop, break, hit, or hurt anything or anybody, which will significantly reduce your clumsiness. Get you your confidence back. As you release the constant fear that you might do something wrong, you will also lose stress and become more confident in different situations that up until now were risky - this fear will simply cease to exist in your mind and you'll be free to walk, move and dance confident that you're in full control of your movements. Download this album and start working today on rewiring your mind so that you become free from the burden of clumsiness!